Brad is a Senior Director with KW Commercial Waco and formerly the broker/owner of The HARRELL Company in Waco, Texas. 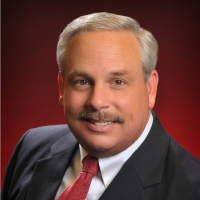 Brad opened the HARRELL Company, an independent real estate brokerage, in 2001. Brad’s primary focus continues to be commercial, investment and land development real estate. Brad has been heavily involved in residential land development as well as retail and restaurant development for the past nine years. He has extensive development experience working with municipalities, engineers, architects and contractors. Prior to opening The HARRELL Company, he was a partner with his brother in Harrell Realty Company and Harrell Realty Management Systems. Brad managed the property management division which managed over 600 residential units in the Waco area. Previously, Harrell was a property claims adjuster with State Farm Insurance in Belton & Waco, Texas. He graduated from Texas A&M University in College Station with a BBA in Finance. Harrell is a member of the Waco Association of Realtors, Texas Association of Realtor and the National Association of Realtors. Brad obtained his CCIM designation in 2006. Locally, he is highly involved in his local business community serving on the Board of Advisors for the Greater Waco Chamber of Commerce, the Greater Waco Chamber Steering Committee on Economic Development, and the Waco Business League. Civically, Brad is on the Board of Directors of Waco K-Life, a Christian youth organization and he also serves as a Kids Hope USA mentor.